Co-founder and CEO Frank Cummings has more than 15 years experience in BSA/AML and PATRIOT Act consulting, and he has been developing software and leading technical-project management initiatives in various industries for twice that long. Frank has over 30 years experience in operational military, government, Fortune 500, technology systems, and start-up management, and he delivers extensive expertise in custom software development in the enterprise sector. This combination of business expertise, Behavioral Risk Management expertise, and extraordinary IT depth drive AML Partners’ thriving development shop. Co-founder and COO Jonathan Almeida has been implementing Compliance and financial-sector technology solutions worldwide for more than a decade, and he has extensive experience in various platforms and IT imperatives in the financial-services sector. 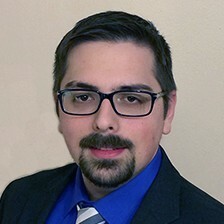 Jonathan also specializes in AML Systems implementation and integration, and he provides an excellent bridge between operational and technical staffs in organizations seeking to further integrate technology solutions. Vice President of Engineering (Partner) Brad Wojceshonek is a 10-year veteran in the software-development field. Brad leads our Surety, InDuro and Systems Integration Teams. Prior to his current role, he worked extensively on the design and development of the firm’s new product InDuro and sanctions-scanning technology for the SURETY Suite of AML Systems. Sr. Vice President of System Architecture (Partner) Michael Day worked extensively as a Software Design Engineer for Microsoft and has over fourteen years experience in software design and development. In addition to his overall development work, Michael leads the new product and system architecture teams.